This custom standard pillowcase is roomy in size 20"x30" and has been designed to add sophistication and style to your bedroom. 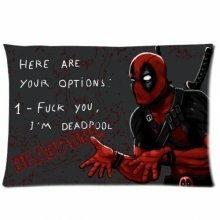 The custom pillow case is without buttons, and has an opening on the side. 50% cotton, 50% polyester. Made of cotton and linen. Measures 45 x 45 cm. The pattern is only one side, and insert is not included. 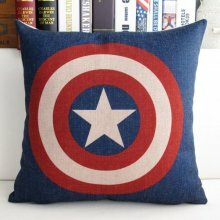 The cushion cover has an invisible zipper. Product printing firmly, will not fade, hand wash, machine washable. 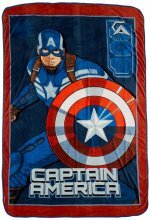 Complete your child's Avenger's collection with this generously sized 62x90 micro raschel blanket featuring everyone's favorite Avenger, Captain America. Its super soft feel makes it great for sleepovers, watching TV, playtime or family time. It's machine washable for easy care. 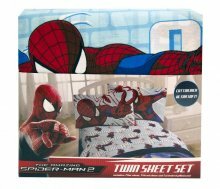 This Captain America Twin Sheet Set is a fun way to incorporate the classic Avenger's superhero into any bedroom's decor. 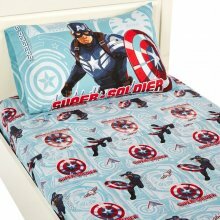 Featuring bright, vivid colors, this Captain America twin Sheet Set, also available in full size, comes in the character's iconic red and blue patriotic color scheme. This set is machine washable for easy care. Printed Twin sheet set includes 1 flat & 1 fitted sheet & 1 pillow case. Printed fabric is 60% cotton and 40% polyester. 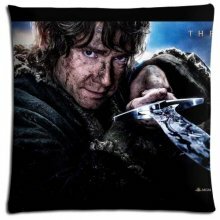 Pillow cases with a printed design of Bilbo Baggins from The Hobbit. They're made of polyester and cotton. They are hypo-allergenic and 18x18 inch large. This Jurassic World Biggest Growl Twin sheet set consists of a flat sheet in gray, fitted sheets is shades of green and the pillowcase reverses for 2 different looks. Made of 100% polyester microfiber.